It is official! 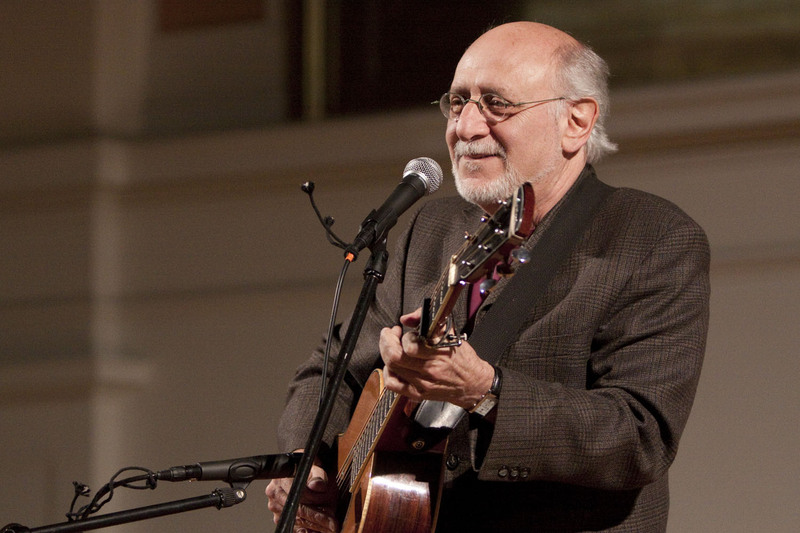 Peter Yarrow is coming to Caltech in February, 2018! After months of working out a date and other details, the Folk Music Society will present Peter at 7:00 PM (Note earlier-than-usual start time!) on Saturday, February 10 in Ramo Auditorium, just a 4 minute walk from our usual venue, Beckman Institute Auditorium. Peter has dedicated his life to music and social activism, and he will share songs and stories of over 50 years of of performing and touring with the group, Peter, Paul and Mary, as well as from being a solo performer and playing in other combinations. During this span, the trio recorded a tremendous number of fine songs, including If I had a Hammer and Where Have All the Flowers Gone, both co-written by Pete Seeger, Bob Dylan’s Blowin’ in the Wind, 500 Miles, Lemon Tree, and many others. They also had great success with some of Peter’s own songs, Puff, the Magic Dragon, Day is Done, The Great Mandala, and others. They were involved with the Civil Rights movement and Martin Luther King, as well as the the protest against the Vietnam War. Peter has been active in many other social issues over the years. His stories will remind us of how important music was during these great social changes, and about how people joining together in song can again be a factor in our current times of turmoil.